Many who visit Jerusalem’s Old City believe that it’s the same place King David set up as his capital more than 3,000 years ago. But that’s not accurate. 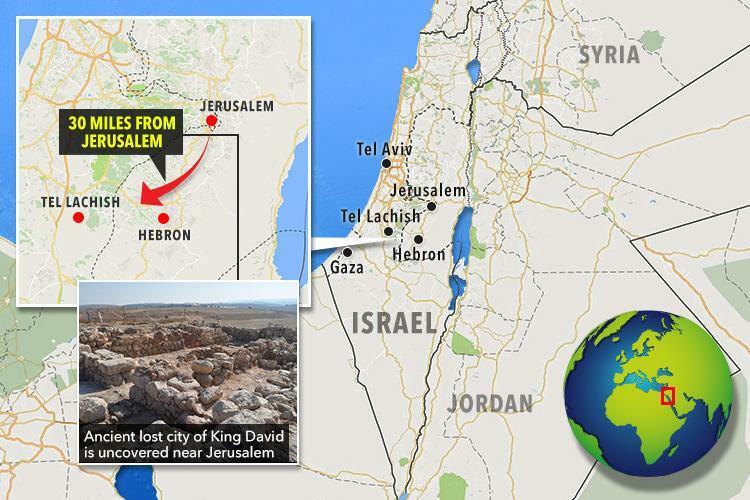 Archaeologists appear to have uncovered the original city of the king, which is about 30 miles from Jerusalem. Professor Faust and Yair Sapir, of Bar-Ilan University, believe the building could be part of the city of Eglon. The city is mentioned in the Bible as one of the five who fought against the Israelites before being conquered. Historians question the use of the Bible as a historical reference as most events mentioned in the text lack historical evidence. Inscribed stones have been found containing phrases referencing David – but the Biblical king’s existence and story remains disputed amongst archaeologists. 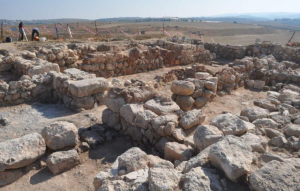 Dr Faust told Breaking Israel News: “We, of course, did not find any artifacts that said ‘King David’ or King Solomon’ but we discovered site signs of a social transformation in the region which are consistent with a change from Canaanite culture to a Judean culture. He added: “The structure was excavated, almost in its entirety, and was composed of a large courtyard with rooms on three side.